Today we went to the Museum of Arts and Sciences in Daytona Beach, Florida. This museum houses an African, Cuban, and Chinese art collections, an extensive Americana and Coca Cola collection, a planetarium, children's museum, classic train car displays, and much more. This was a fabulous museum where we could have spent another day. There aren't as many pictures as we would have liked. They only allow pictures in the children's museum, the train cars, and at the Giant Ground Sloth, and even then only without a flash. So we took what we could. This periscope actually allowed you to peer into the next room! 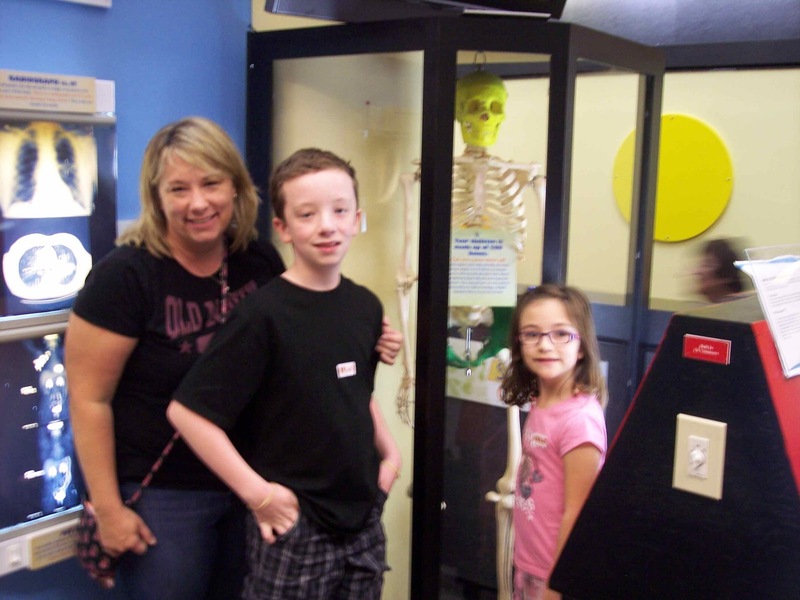 The children's portion of the museum had several interactive stations when you first walked in. One especially neat part had a fan with a clear tunnel above it. The object was to take a plastic badminton bird, hold it over the fan, release it, and see how far it would go through the tunnel. It suggested that you change the wings of the bird to see if that affected the outcome. The kids figured out that if you bent the wings outward, it would fly through the tunnel and out the top. It was a lot of fun. 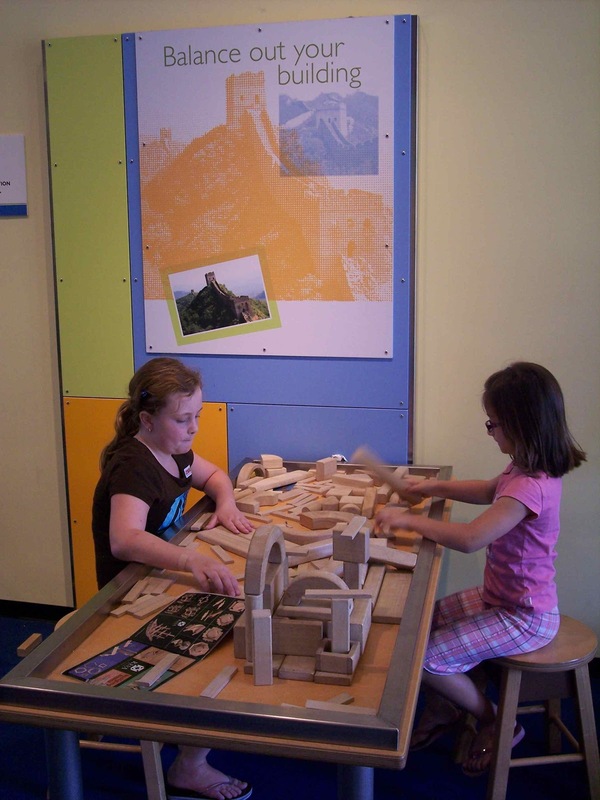 Another section of the children's museum housed a pretend pizza parlor, construction site, and a doctor's office. The doctor's office had so many things that the kids could do to see how they worked. It had a clogged artery (made of plastic), x-rays to view, and even a little ultrasound wand and plastic dummy to practice on - which unfortunately wasn't working. They had a little dark room with glow in the dark skeleton pieces so you could join all the bones together to make your own skeleton. I loved that this tied in with the Science unit Rachael has been working, a unit on bones. The girls also pretended to work in the 'front office' and Michael, Jim, and I were the 'patients' waiting to see the doctor. After that, we moved onto a section about energy. Light energy, energy from working - pedaling a bicycle, in this case - and how machines make work easier. And of course there was a building block section. We always enjoy these, although I don't know why. When all three of them were little, blocks weren't something they were especially interested in. What was neat about this one was that it provided instructions on how to build some pretty neat structures. The next stop was the planetarium. There were two shows featured, and we watched them both. The first was about constellations and how to find them, and some of the planets, in the night sky. I can honestly say the kids learned more from this than all the other planetarium shows we have seen combined. It was great! The second show was an animated feature that told the story of Orion that helped ancient Greek's remember the stars as their navigational aids. It was neat to hear the ancient stories, although the kids wondered why they were so long and involved just to remember the stars. After the planetarium, we went through the Americana and Coca Cola displays. Also within this section was a temporary exhibit of Christmas trees. The trees were donated and decorated by local charities as a fundraiser for the museum. 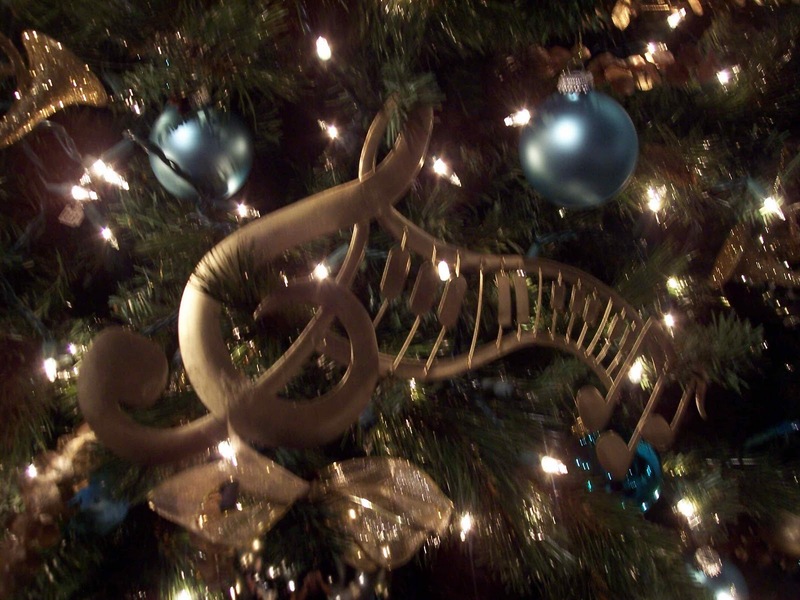 Each tree featured a silent auction, with most of the starting bids set at $200. Rachael wanted to know why we couldn't just bid on one! Wouldn't that be nice? But since most of them were going for more than a tank of diesel for us - I don't think so! We really enjoyed that part, and loved seeing all of the creative ideas for themes. There were nautical themes, a Boston Red Sox theme, a musical one, and one decorated with a nature theme. By far the most interesting one was the very first one you see walking in the door. It was a full size mannequin, and her dress was the decorated tree part. I'm not sure who would want that as a decoration in their home, but perhaps it would be perfect for a dress shop. We also toured the train cars, the antique furniture collection, and visited the temporary exhibit of the Giant Ground Sloth fossil. If 'Sid' from the movie Ice Age was that size, he was no little guy! We would have gladly stayed longer, but the museum was closing, and we were all anxious to get on the road to Jacksonville to see my sister, Lori, and her husband, Keith. 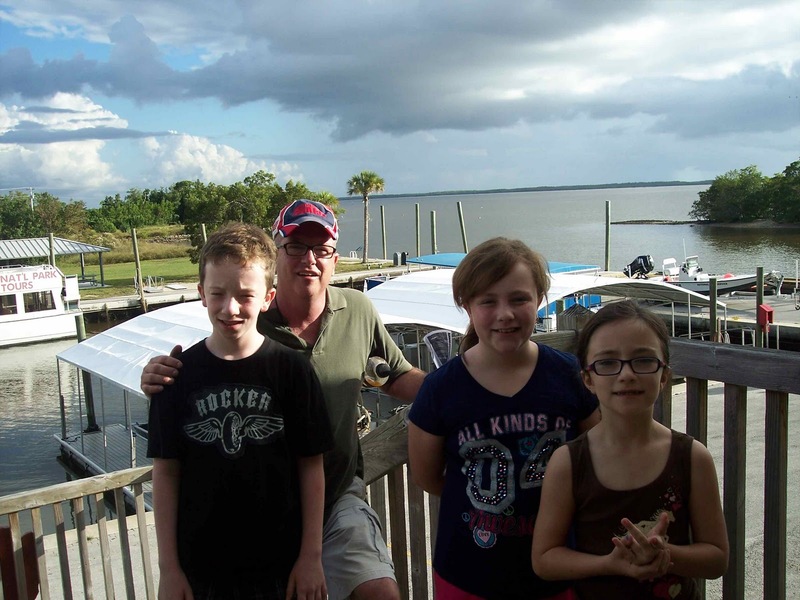 We drove up to Jacksonville and met Keith and Lori for dinner, and then followed them back to their home. Take a look - we got the RV in their driveway - but you can only view if you are logged into Facebook and 'Like' the Motorhome Moments Facebook page! This did turn out to be the last day we could comfortably wear shorts and flip-flops, too. Boo. It was quite chilly in Jacksonville. Please enjoy the pictures in the Photo Gallery! This morning started off with a nice breakfast with Aunt Mary before we headed out of Fort Pierce. I wish we could say we took her somewhere really nice, but we actually went to Burger King. Burger King is Rachael's absolute favorite place to go for breakfast - because she likes their biscuits. But, we are all pretty flexible, so Burger King was fine with us. Our visit with Aunt Mary seemed much too short, but we had to get going anyway. We made it to Ponce Inlet, south of Daytona. There is a lighthouse on Ponce Inlet that we wanted to see. It is the tallest in Florida at 175 feet. 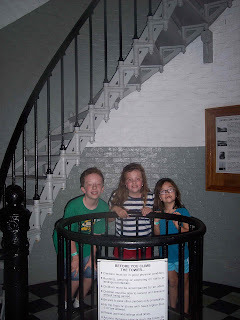 Last summer we also visited the oldest lighthouse in Florida in St. Augustine. This lighthouse sits on a beautiful slice of land on the Atlantic Ocean. The land surrounding the lighthouse is beautifully landscaped and maintained. 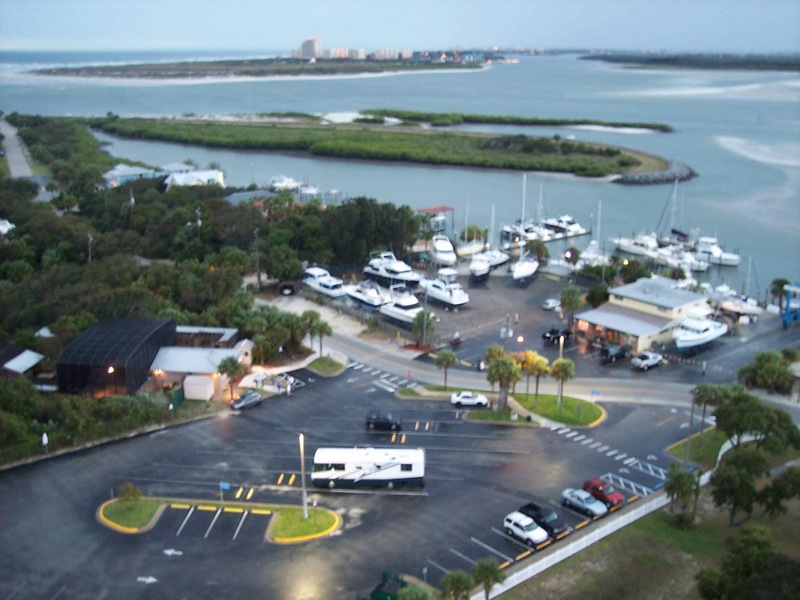 There is a marina across from it with ships of all sizes docked there. When we arrived, the wind and rain had picked up considerably, so we had to dash in between the different buildings on the land. 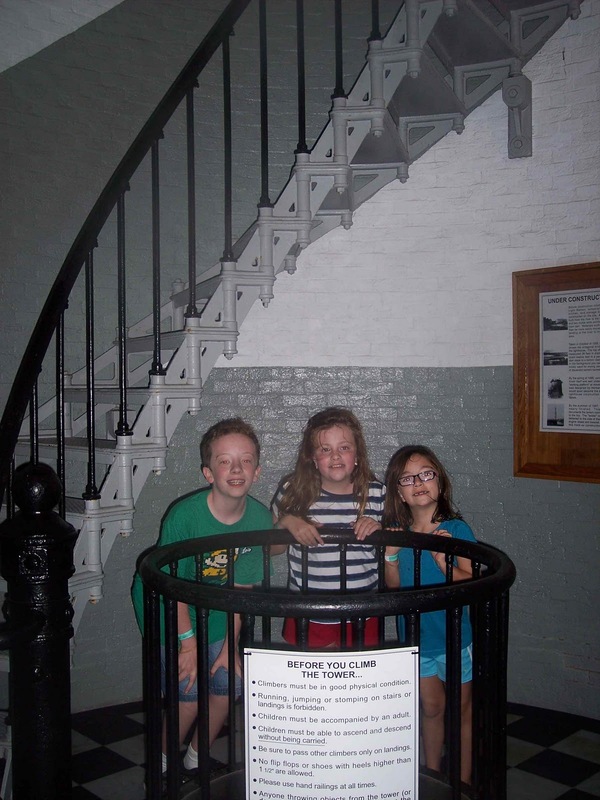 Of course, the first thing the kids wanted to do was climb to the top of the lighthouse. Jim and I were not looking forward to it. 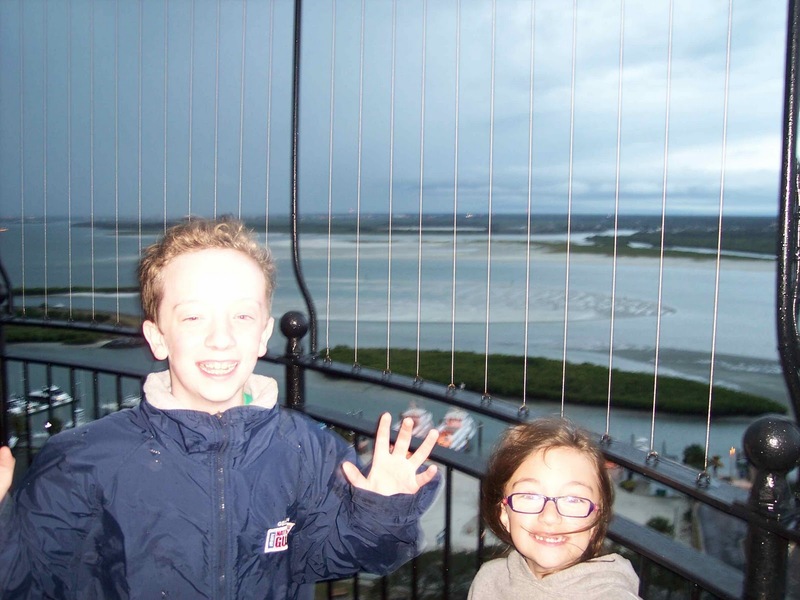 When we climbed the one in St. Augustine, it was no picnic! And this one was supposed to be the tallest?? It turned out to not be a problem at all, and only took a few minutes. And although it is the tallest, it has about five fewer steps than the St. Augustine lighthouse. There was a magnificent view from the top. With the wind and rain blowing, it was more than a little nerve wracking to be out on the catwalk. Michael thought it was a lot of fun - the wind blew his clothes around so much that if jumped, he felt like he was flying. Climbing back down was a little scarier - the steps are steep, and with our shoes being wet from the rain, I worried about someone slipping on the steps. But it was fine. After we got to the bottom, we checked out the buildings surrounding the lighthouse. There were three homes, each building belonged to the lightkeeper and his helpers. They were filled with antiques and tools from the era. 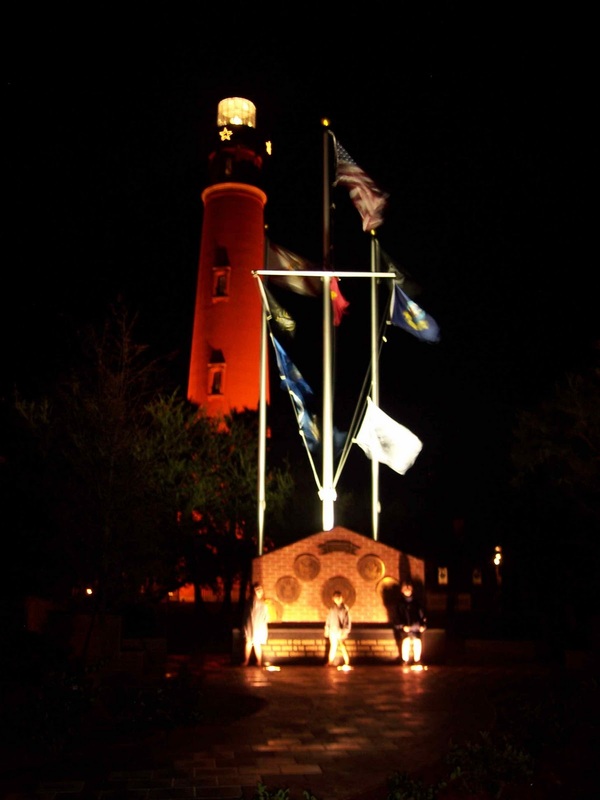 Outside of the lighthouse grounds was a beautiful veterans memorial. We took a lot of neat pictures there, but with the poor lighting, not many turned out very well. Tomorrow we are headed into Daytona! More pictures in the Photo Gallery! Today we spent the day with Jim's Aunt Mary. Aunt Mary is Jim's dad's youngest sister. She moved to Florida from Delaware several years ago with her husband of twenty-nine years, Eddie Weatherlow, or Uncle Butch, as Jim has always called him. 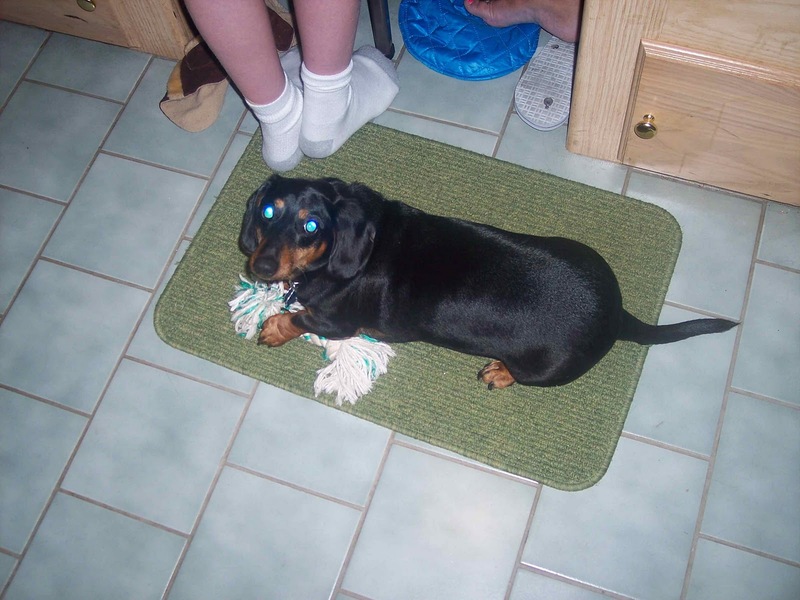 Eddie passed away in October after a long battle with many medical issues. Today was the memorial service to remember him. We were really glad we could be a part of it and be there to support Aunt Mary. We went to church first thing in the morning with Aunt Mary. 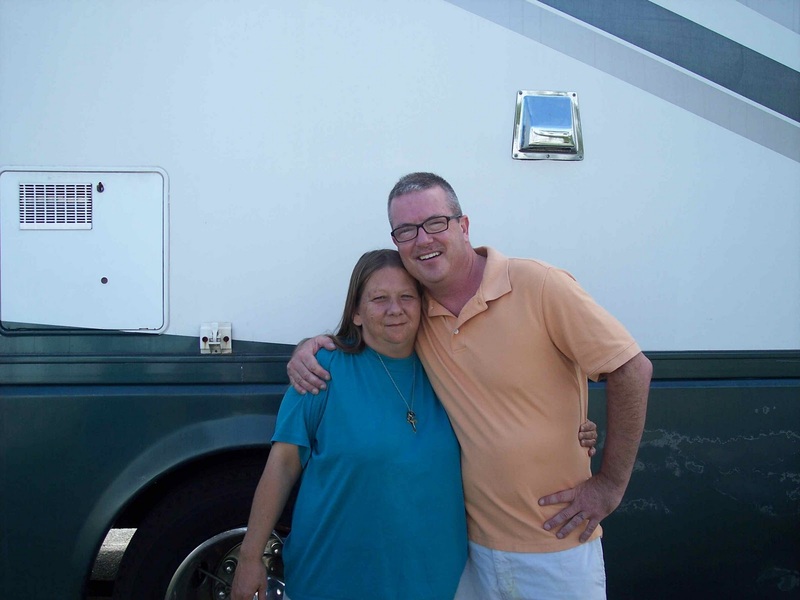 She attends Tabernacle Ministries in Vero Beach, Florida. It is a great non-denominational church. The pastor, Pastor Dave, is a multi-talented man. He not only preached a fantastic sermon, but also writes songs and sings. The praise and worship team at Tabernacle Ministries was wonderful, too. They sang a great variety of songs, from contemporary Christian music to traditional gospel songs. 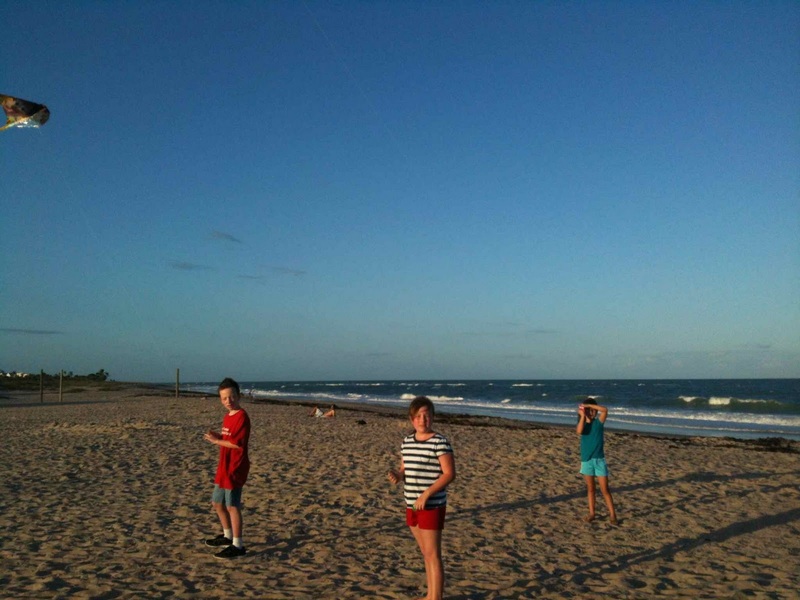 After a quick lunch, we headed to Vero Beach for a little while. 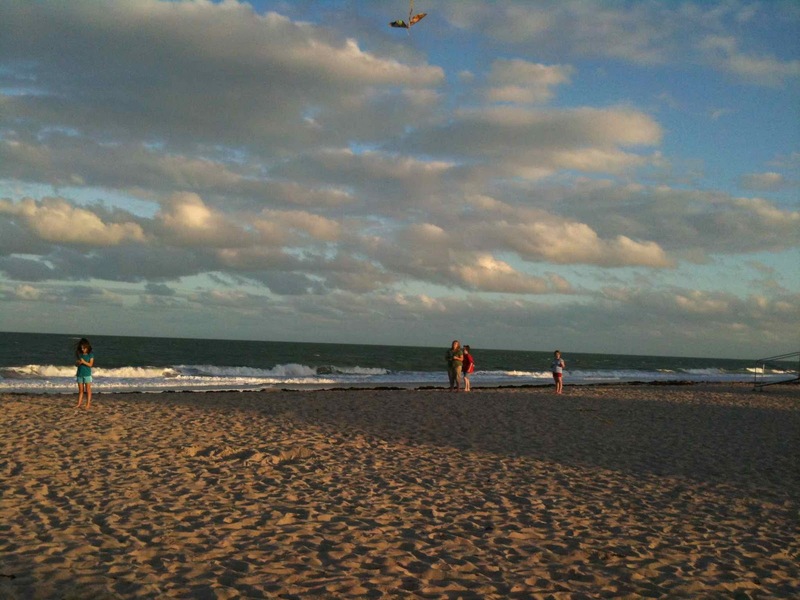 There are several public parks with beach access right off of Highway A1A. We easily found a nice one with plenty of parking for the RV. The water was too rough to go for a swim, and the wind was really blowing. 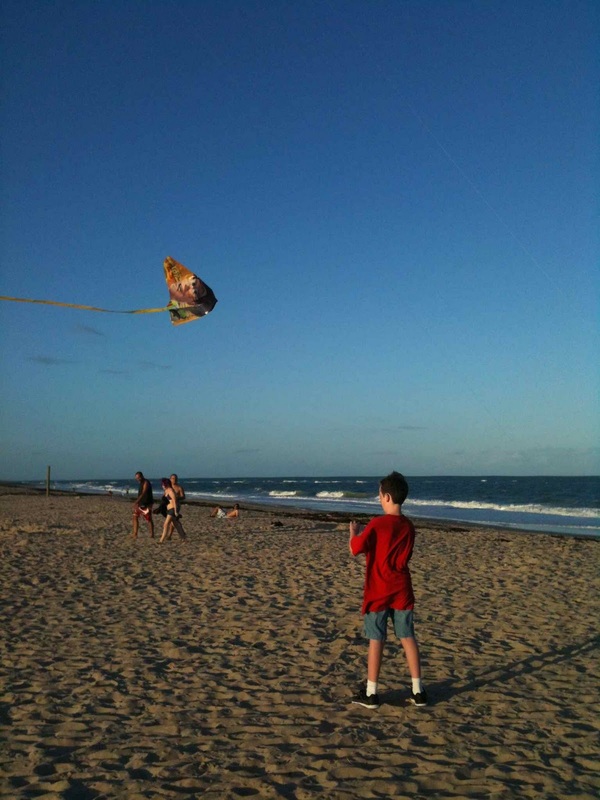 So we took our kites out instead! I'm not sure we have ever had such good wind for flying kites. It was a LOT of fun! We headed back to Aunt Mary's for a little cookout before we headed to the church for the memorial service. 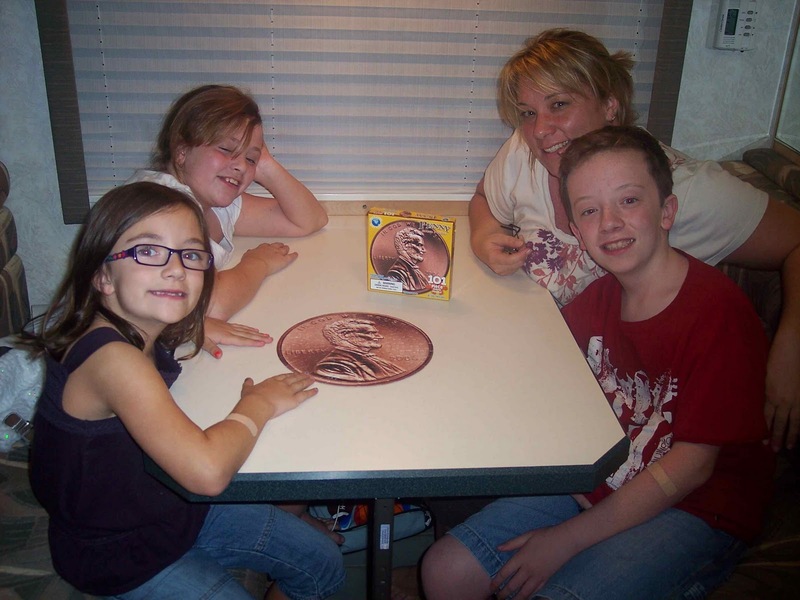 We enjoyed hot dogs, hamburgers, pie, and the kids got to watch Disney Channel on cable. It was a big night for them! We went over to Tabernacle Ministries for the memorial service for Uncle Eddie. He always loved music and had played in several bands over the years. He had many friends that attended to express their condolences to Aunt Mary, reminisce and play music in his honor. We were really glad we could make it. Tomorrow we are headed out towards Jacksonville to my sister's house. We are taking Aunt Mary out for breakfast first, though. We are so glad to see her and spend time with her. 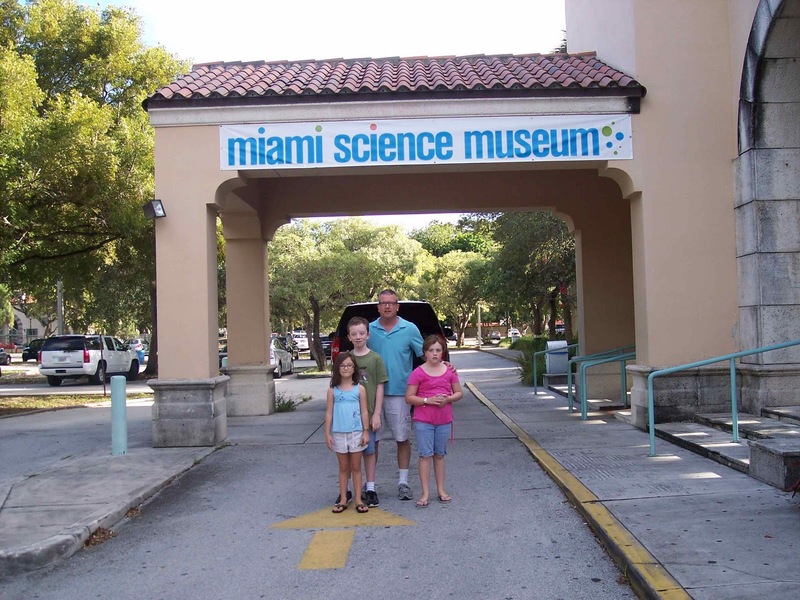 Today we went through Miami, and stopped at the Miami Science Museum. 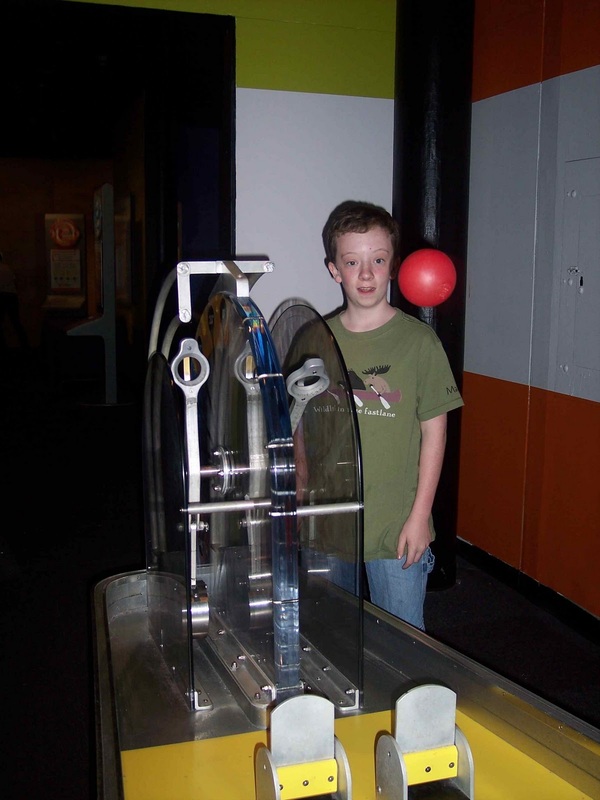 It has many hands-on exhibits and a planetarium. 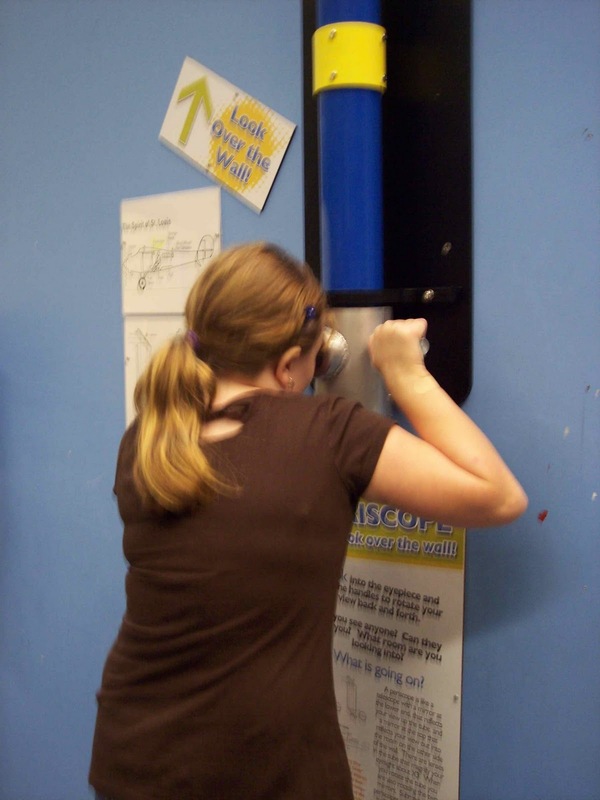 The hands-on portion included a section on saving energy, and another on machines and how they help us every day. 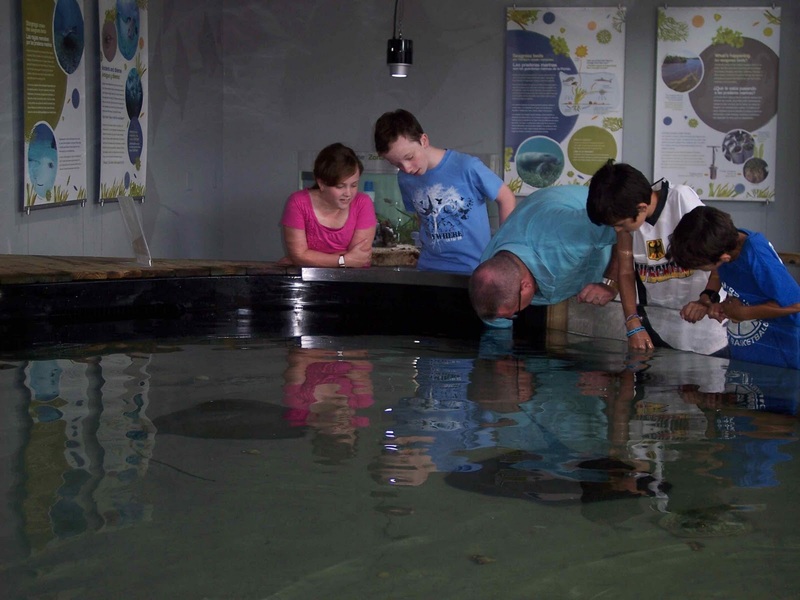 The first stop we made was to a sting ray petting tank. The sting rays were very playful and would flap their wings at the edge of the pool, as if they were waving. There were several other tanks where other micro organisms were growing. Another tank held live coral that had been donated by local owners of aquariums. This was being developed to be placed in a new museum that will be opening in a few years. The girls enjoyed making remote control, solar-powered cars, and Michael and I worked with a catapult to see how different arm lengths made a difference in how far the projectile would go. There was one activity where you had to make the best use of the space you were given, like when packing a moving truck with boxes. We were given a bunch of different foam shapes and had to make them fit into a clear box without overlapping. It showed how planning on how you use your space can make your work easier. It took several tries, but we were finally able to get it worked out so that all of the shapes fit. That was a feeling of accomplishment! We got them to fit! 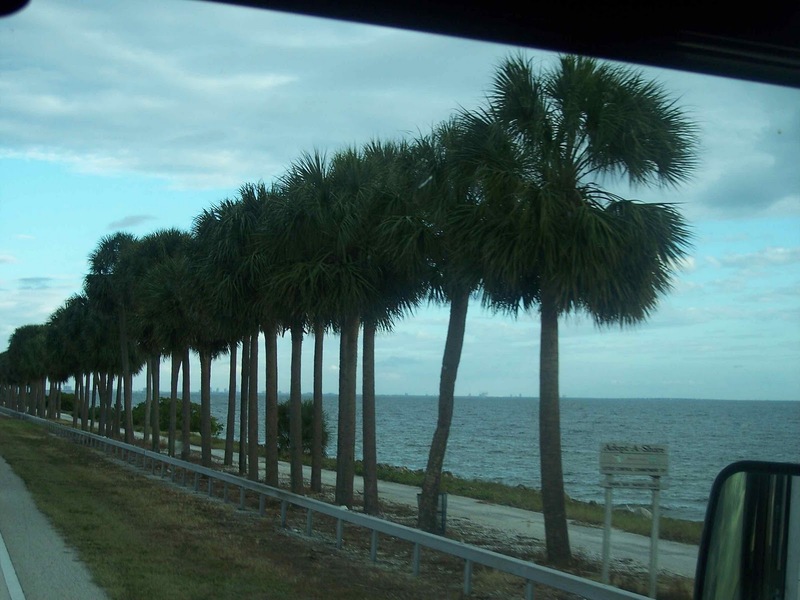 Our stay in Miami was brief...we wanted to get back on the road to see Jim's Aunt Mary in Fort Pierce. Today we spent time getting ready to leave Key West and head towards Miami. We cleaned up the camp site, prepared the RV to pull out, and filled up with fuel. We really enjoyed the drive back to the mainland. The Keys are just so beautiful... we all really enjoyed it. We are looking forward to spending time in Miami before heading out to see Jim's Aunt Mary in Fort Pierce. Key West, FL - Day 2 - 11/24/2011 - Thanksgiving! Today is Thanksgiving! What a beautiful day to give thanks for the many blessings we have, and we know the source - our Heavenly Father! We started our day out snorkeling. We were going to take a scheduled snorkeling trip, but since the kids have never done it, we thought it might be better to buy our own equipment, go to a local beach, and teach them how. So we bought our gear yesterday, and found a great spot suggested by locals to go to. 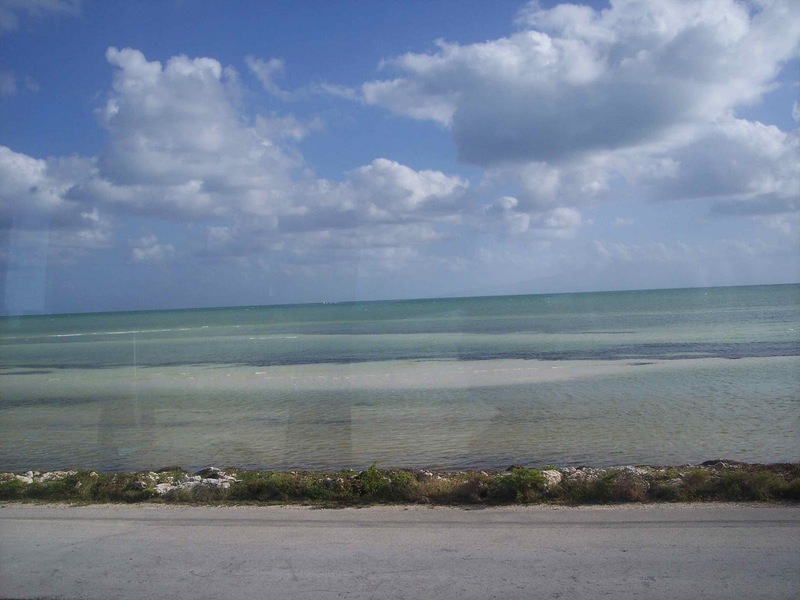 It is the Bahia Honda State Park, located on Big Pine Key, and it was gorgeous. It is noted for having some of the best snorkeling in the world. The kids got the hang of snorkeling pretty quickly. Chrissy had some trouble with the breathing tube, but she did great with everything else. They are all good swimmers, so that was no problem, either. The water was very clear and shallow for at least 20 yards out from the beach. We played and swam for a good part of the morning. We don't have a lot of pictures from that because, obviously, we can't take the digital camera in the water. However, we did buy a waterproof camera, and when we get those pictures developed, I'll post them to the web site. We headed back to Key West for our Thanksgiving dinner. MWR (Morale, Welfare, Recreation) was hosting a pot-luck Thanksgiving dinner. They provided the turkey, dressing, mashed potatoes, and cranberry sauce, and everyone else was asked to sign up to bring sides. We brought salad and brownies. 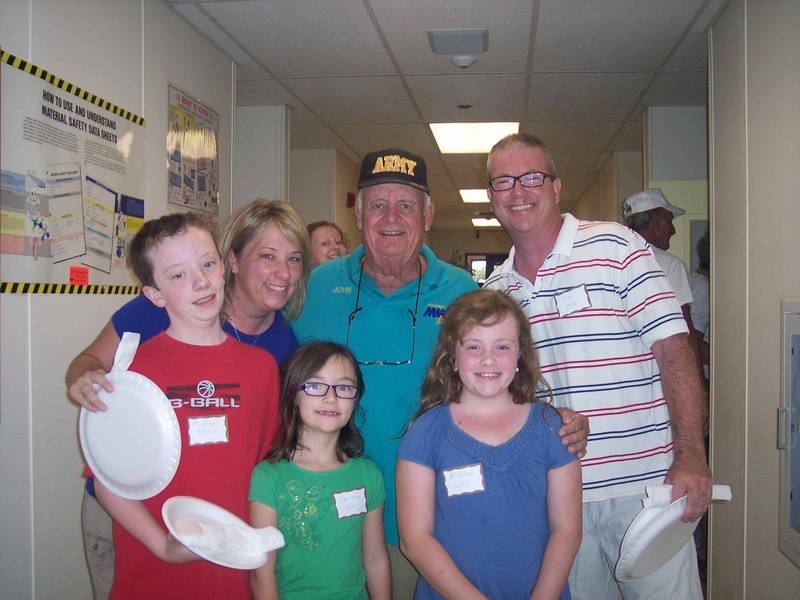 It was a mixture of military folks - families, single soldiers, retirees. We had a really good time and everyone was super friendly. 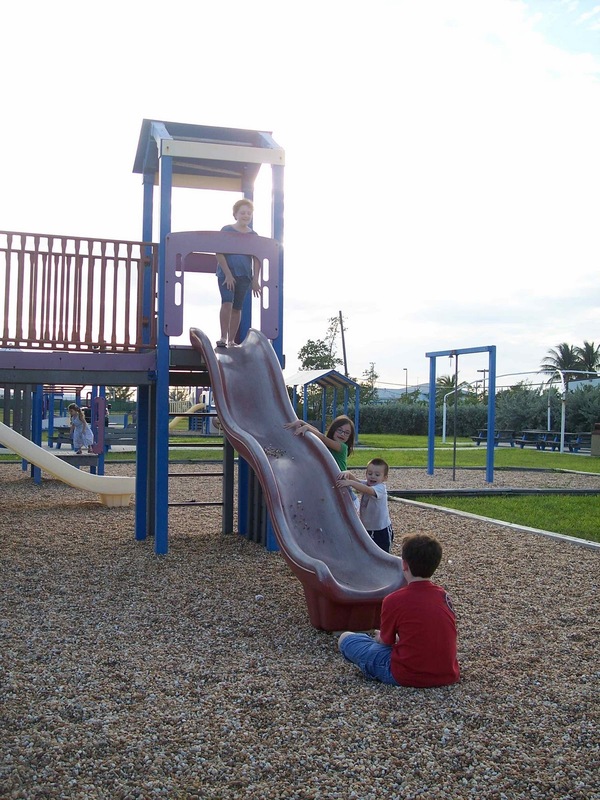 After that, we got Sam and headed to the playground and dog park on base. 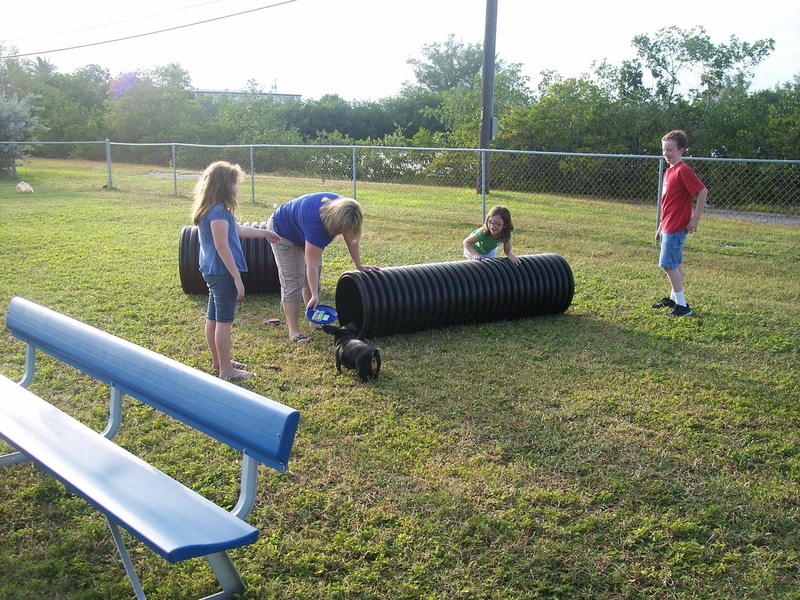 The dog park is a nice little area where dogs can run around and play without having to be on a leash. Of course Sam isn't into running very much. We finally did get him to pick up his pace and play. Jim brought the frisbee, which Sam loves, and that got him interested and moving. Once another dog showed up, we left, though. Other dogs tend to bark and bite at Sam, and we've learned not to take chances. Sam doesn't usually mess with them, but other dogs don't seem to have a problem picking on him. The playground was a lot of fun. The kids played with kids from another family that was there. 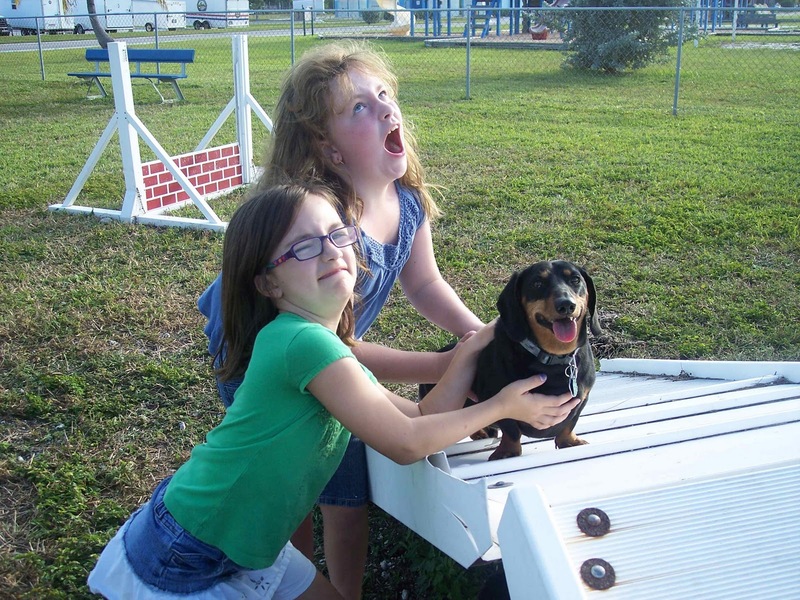 Their kids wanted to pet Sam and walk him on his leash. Sam was very well behaved, too. We all had a good time. 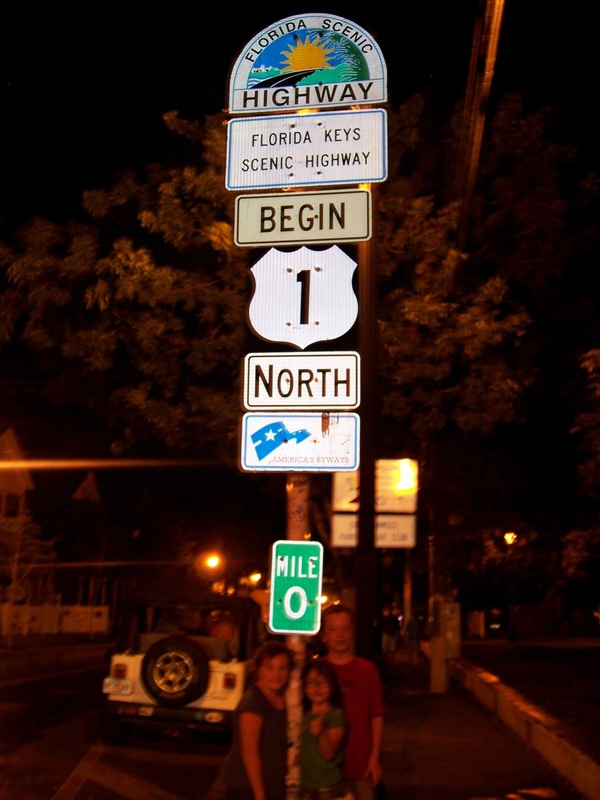 We did go into Key West one last time. We got some pizza, drove by the Ernest Hemingway house, and took some quick pictures at the beginning and ending mile markers for U.S. Hwy 1. After all this, we were worn out! But Jim, my hero, took all the dirty laundry to the laundry room and washed and dried all the clothes. What a guy! Tomorrow we are heading out towards Miami! Today was our day to explore Key West. What a beautiful island - with a colorful history! We started our day with the classic Conch Tour Train. 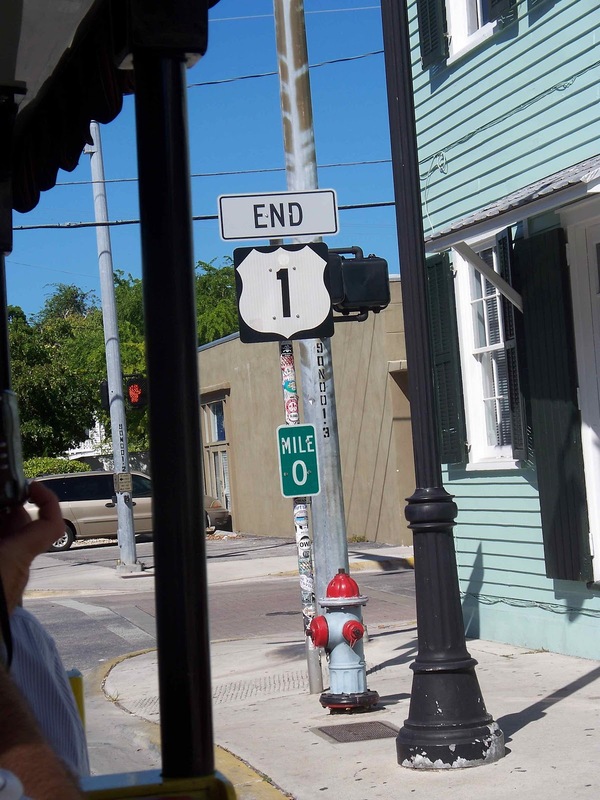 This is one of the more well known tours in Key West. 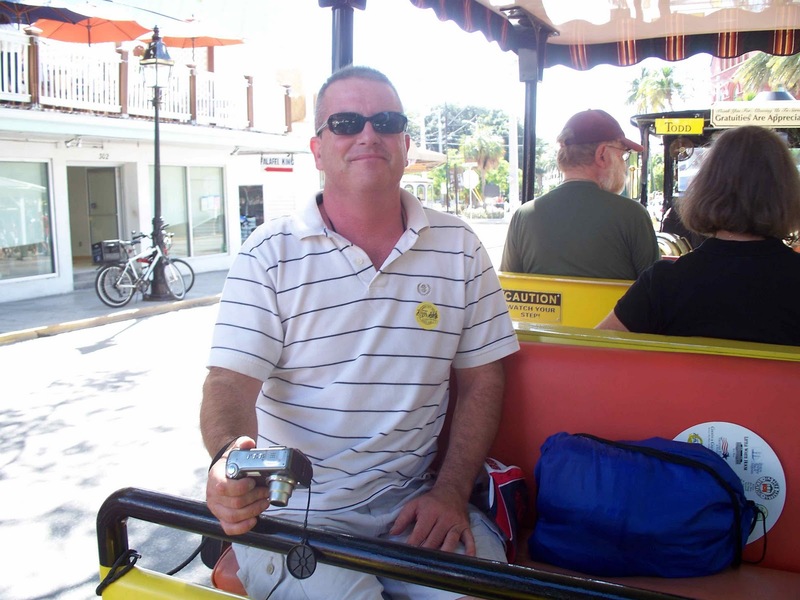 It takes you throughout the island, and you hit all of the tourist highlights, as well as learning the history of the island and some its interesting features and architecture. Several spots included Ernest Hemingway's home, the southernmost point in the continental United States, and all the pretty beaches on the island. We had a couple of different opportunities to get off the train, do things, and catch another train later. We did this at one point and went to the southernmost point and southernmost home to take a look and take pictures. When we returned to the pick-up point, we were hot and decided to cool off with some ice cream. Sounds like a good idea, right? It was a good idea. The bad idea was getting cones instead of cups. As soon as we stepped out the door and got back on the train, the ice cream started to melt. Melt really isn't the right word...more like run away. It just started dripping like crazy. I was managing mine okay, but Chrissy needed some help. I tried to get hers under control, but she just couldn't eat it as fast as it was melting. Michael couldn't either. He wound up giving his to Jim, who couldn't work with it. Jim wound up just dropping it in the street from the train. Meanwhile, Chrissy is covered with ice cream, and about that time, she also managed to get her hair in it. Rachael wasn't having much trouble, although she had her share of the mess. 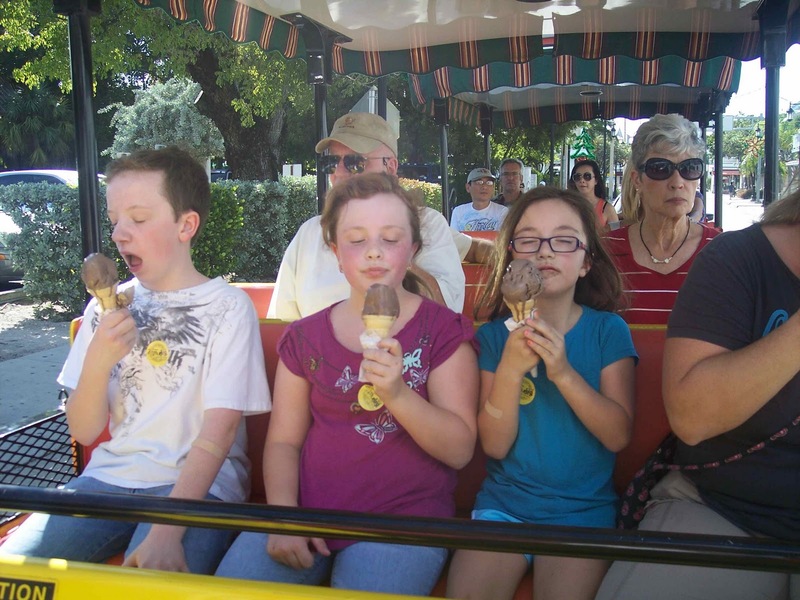 By the time we got to the next stop where we could get off, we all had more ice cream on us than we had eaten. To make matters worse, we couldn't find a restroom to so that we could clean up. Thankfully, one of the employees had paper towels and knew where the garden hose was. He felt sorry for us and let us get cleaned up there. It was a very amusing site, I'm sure. Once we got that cleaned up, we went into Flagler Station and Over-Sea Railway Historeum. 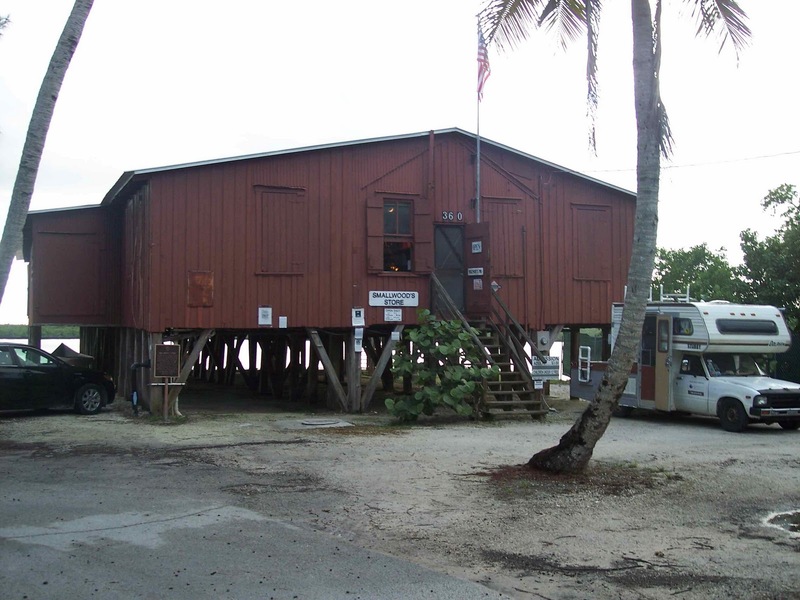 It portrayed the history of the building of the railroad to connect Miami to Key West. Henry Flagler, founder of the Florida East Coast Railway, was determined to connect the two cities, investing $50 million of his own money to complete the task. The project survived labor disputes, mosquitoes, and a hurricane and was completed in 1912. When the next tour train pulled in, we once again thanked our clean-up helper and finished the last leg of our tour. We arrived at Mallory Square, a focal point in Key West. We did a little bit of shopping at the market shops, and headed back to the RV. After taking a break and taking care of Sam, we headed back into town. Christmas lights were scheduled to go up along the historic harbor walk, on both the businesses that line it, as well as the boats in the harbor. We love Christmas lights, so we were looking forward to it. We found the lights, which started off with a huge tree and the harbor entrance. 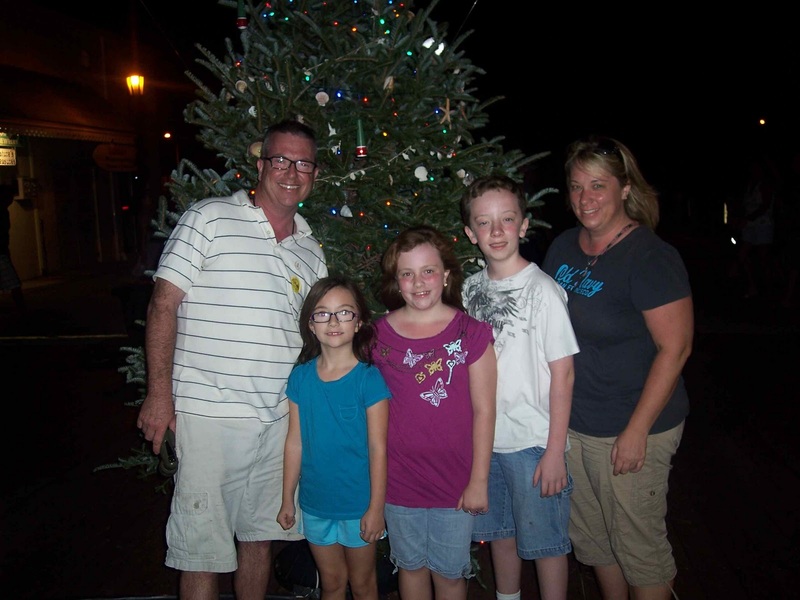 We walked the four blocks of lights, and headed to Duval Street - which is where the night life is in Key West. Bars, shops, and restaurants line the street for several blocks. We planned on eating dinner at Sloppy Joe's, which was Ernest Hemingway's hangout. When we got there, a band was playing and it was really, really loud. So we instead opted for Angelina's Pizza across the street. Of course the kids were happy, so we were happy. While we were there, Santa Claus and his wife came in for some pizza. He was gracious enough to take a picture with the kids. Chrissy and I decided he must be on his last vacation before his busy season begins. Before we left the downtown area, we had to stop for some ice cream and Key Lime Pie. I think Key Lime Pie is Jim's favorite kind of pie. 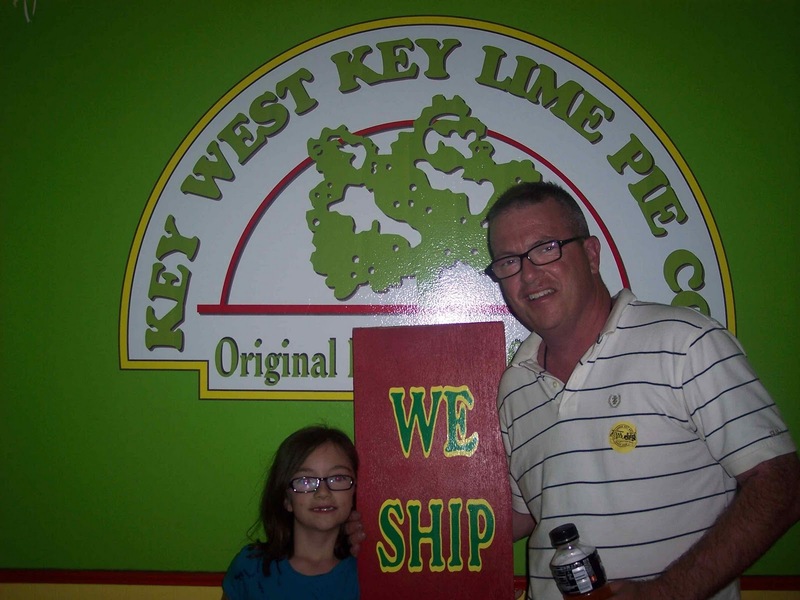 This shop, Key West Key Lime Pie Co., is the only Key Lime Pie shop in Key West that still makes their pies in the shop. Everyone else has theirs brought in. It makes no sense. Anyway, this pie is award winning, so I think Jim made a good choice in where to get his pie. 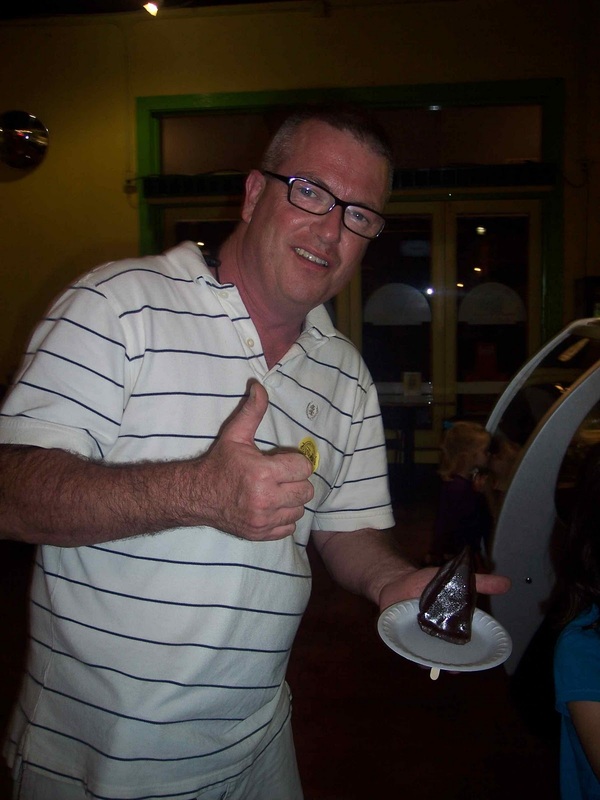 The had several varieties of Key Lime Pie, but Jim chose the chocolate-covered pie on a stick. He said he wasn't sure how he would like it with the chocolate, but he said it was probably the best he's ever had. The kids loved their ice cream - which didn't melt everywhere - so it was a successful stop. It was a great day in Key West! Tomorrow is Thanksgiving, and we are looking forward to a Thanksgiving dinner on base. 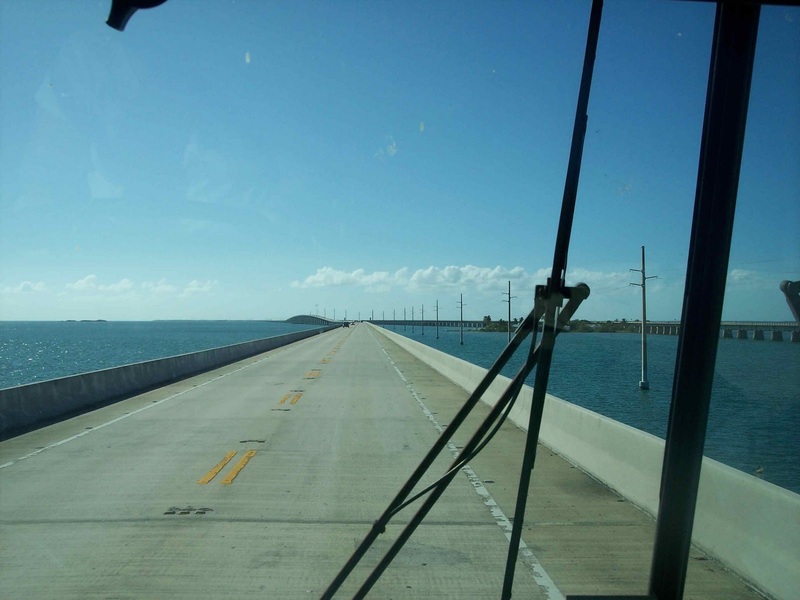 Today we headed down into the Florida Keys! It was such a beautiful drive. We stopped at the visitor's center in Key Largo. 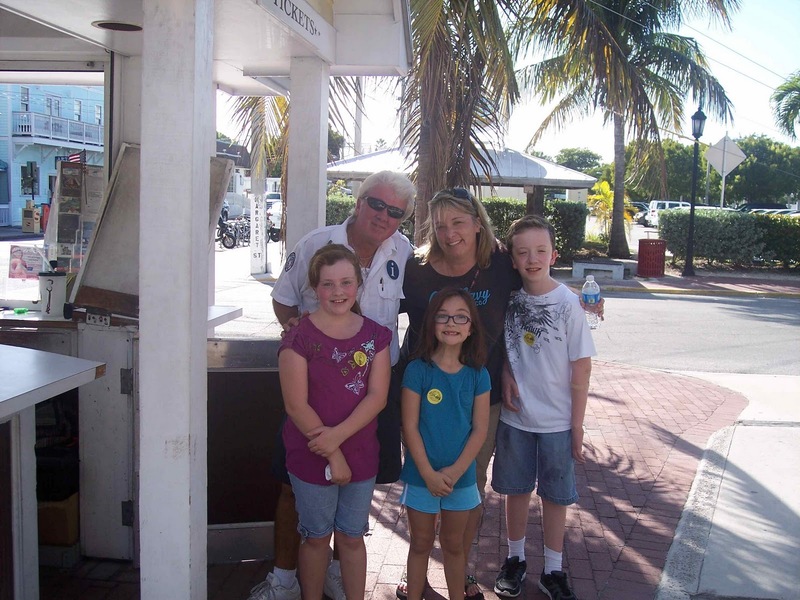 They had a lot of information available about attractions all throughout the Keys. We took several pictures, too. 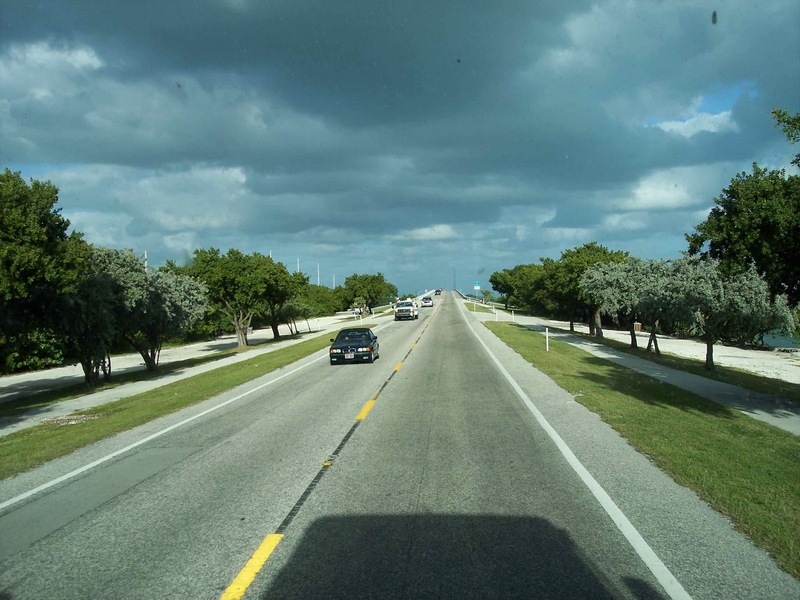 After that we finished our drive and got settled into our campground spot at NAS Key West. We did a little bit of shopping at the base exchange and commissary. 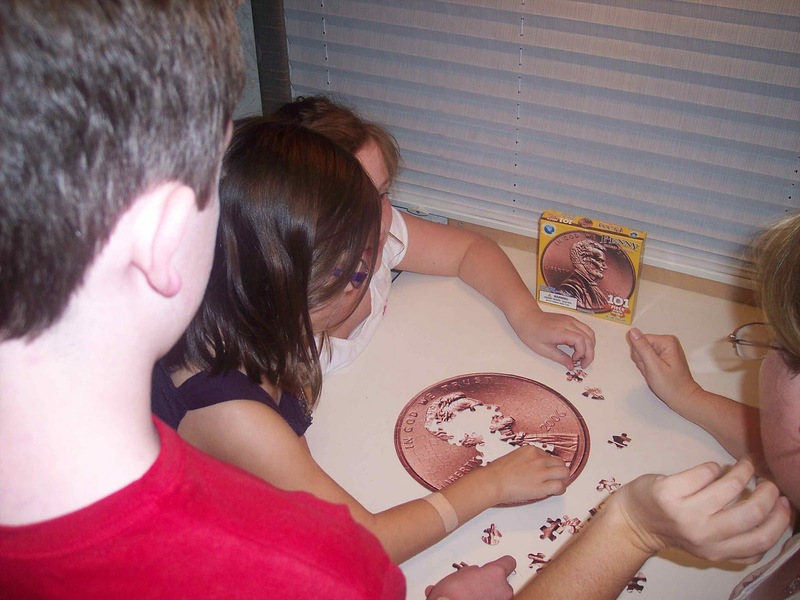 We had some down time and put a puzzle together. Nothing terribly exciting, and I mainly want to share some of the pictures we took. 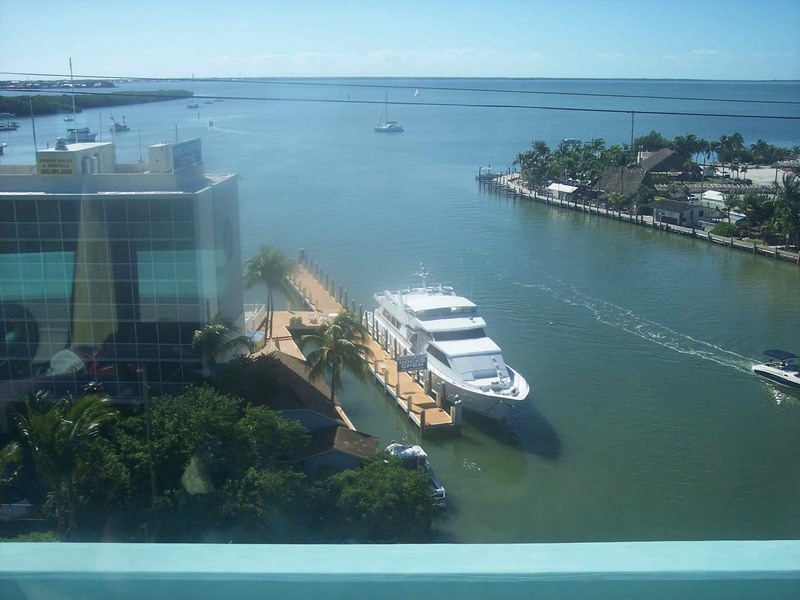 I know some of our readers may have already been to the Florida Keys, but for those that haven't, it is such a beautiful place. There are so many, but I only put a few in the Photo Gallery, and a few of the best here. Enjoy! 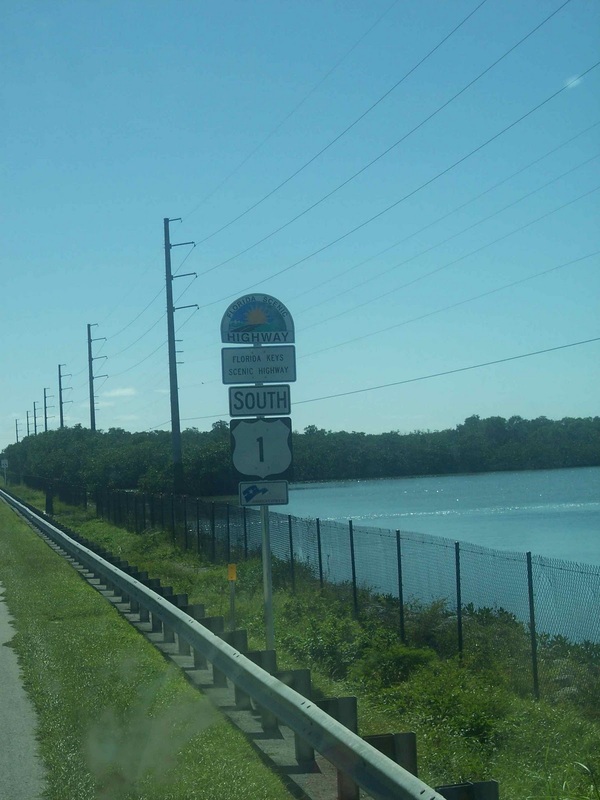 Heading South on U.S. 1! Tomorrow we explore Key West! 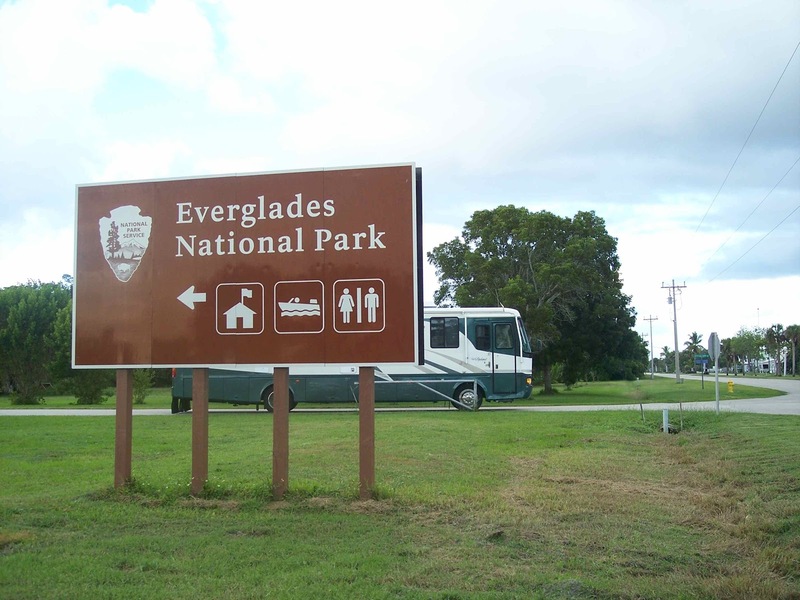 Today we drove down to the Everglades National Park, right on the southern tip of Florida. 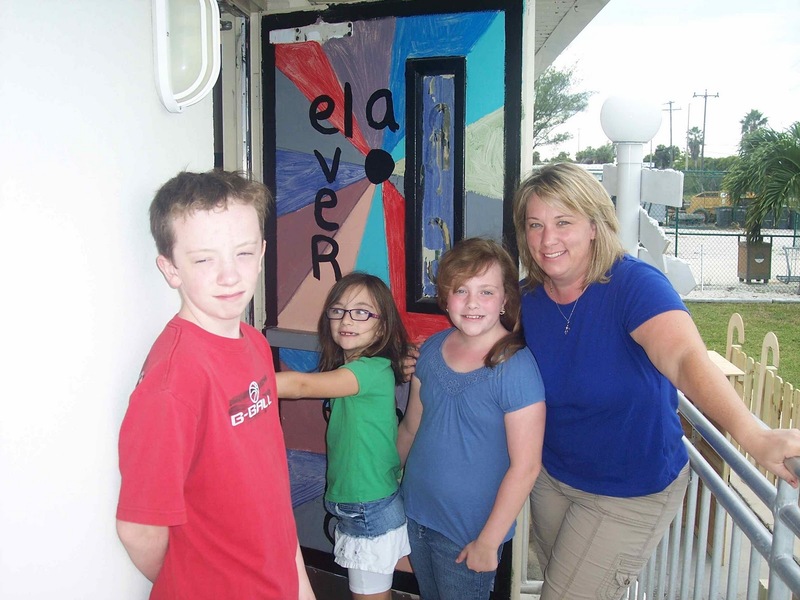 One of several visitor's centers is located about 29 miles south of the section of I-75 known as Alligator Alley, in a little town called Everglades City. I wasn't aware that there was a city there, but sure enough, there is. 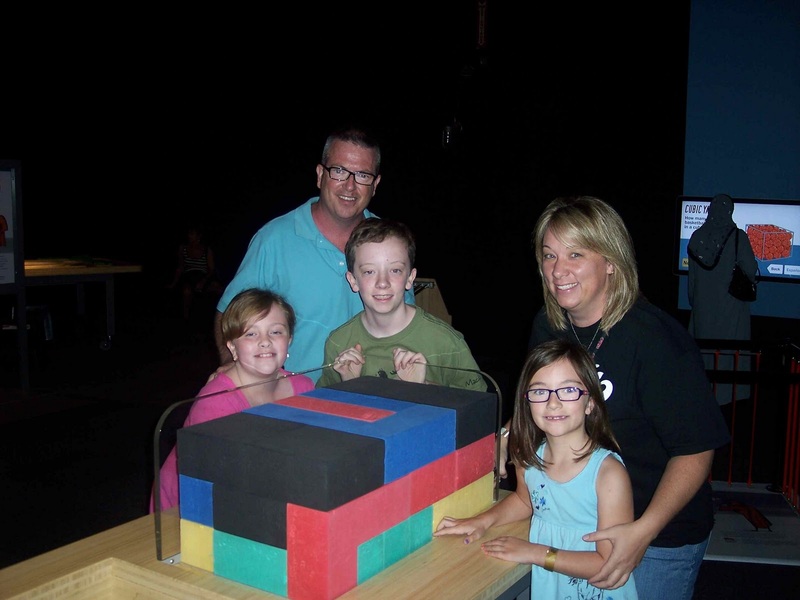 We headed into the visitor's center, where there were hands on activities for the kids, which they really enjoyed. We also watched a movie on the Everglades and learned about what makes it special. It was beautiful and serene. There were all kinds of different birds flying around, as well as the much-loved mosquito. After our time in the visitor's center, we went a little further south into the city of Chokoloskee to see Smallwood's Store. Smallwood's has been in business since 1906, and has served many pioneers and Native Americans, such as the Seminoles. It was a general store and trading post. The Seminole would travel 30 - 40 miles by canoe to get to the store. Since it was such a long trip, they often stayed a week before heading home. Smallwood's was filled with a huge display of items sold during the early days of the store, as well as photos. It was a neat trip back through time. Outside were the beautiful waters, where birds fly low and land just off the water. 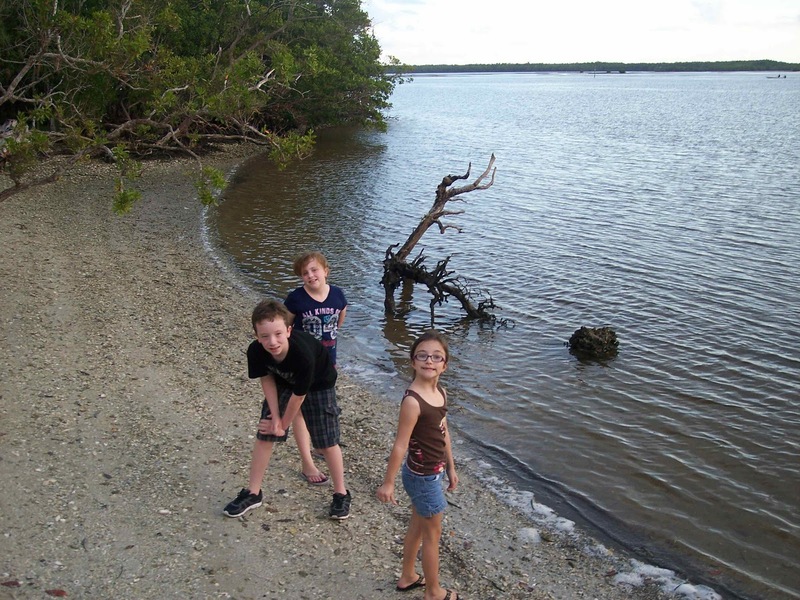 Michael enjoyed skipping rocks, and the girls loved getting a little dirty and wet on the small beach area. Interesting to note about Smallwood's Store: The surrounding land was bought by developers to turn into a marina. Without a permit, or the residents' knowledge, they destroyed and fenced in the road leading to Smallwood's. After a long and drawn out battle, Smallwood's owner and Ted Smallwood's granddaughter, Lynn McMillan defeated the developers, who are now court-ordered to open and repave the road. At the time of our visit, the road was open, but not paved, so we parked the RV at the end of the road and walked the quarter-mile or so down to the store. It's nice to hear that the "little-guy" can still win against a big corporation. Read more on this battle HERE. It is 7' by 8'! 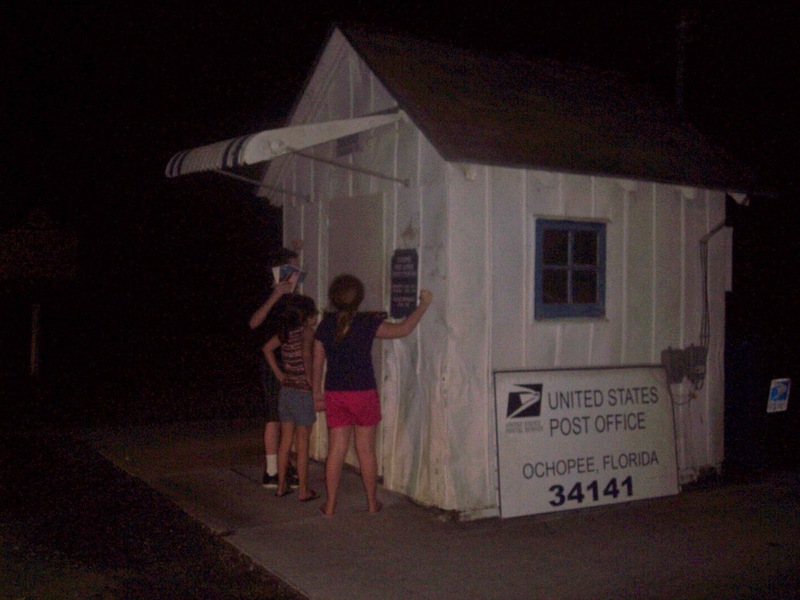 On the way out of the Everglades, we stopped at the SMALLEST operating Post Office in the United States! It is the second smallest in the world, with one in Germany being smaller. 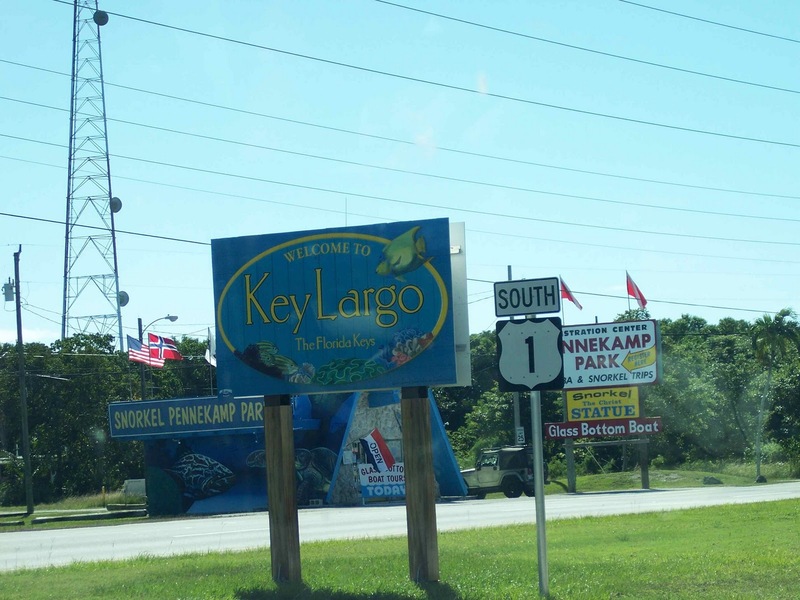 It is located in Ochopee, Florida. The kids, and Jim and I, couldn't believe how tiny it was. It was originally an irrigation pipe shed for a local tomato farm. When a fire destroyed the general store, which housed the post office, this became the new post office. It has been there ever since! We enjoyed our brief visit to the Everglades, and tomorrow we are heading down to the KEYS!! Today was an absolutely beautiful day! Perfect for the beach, and that's all we had on our agenda! 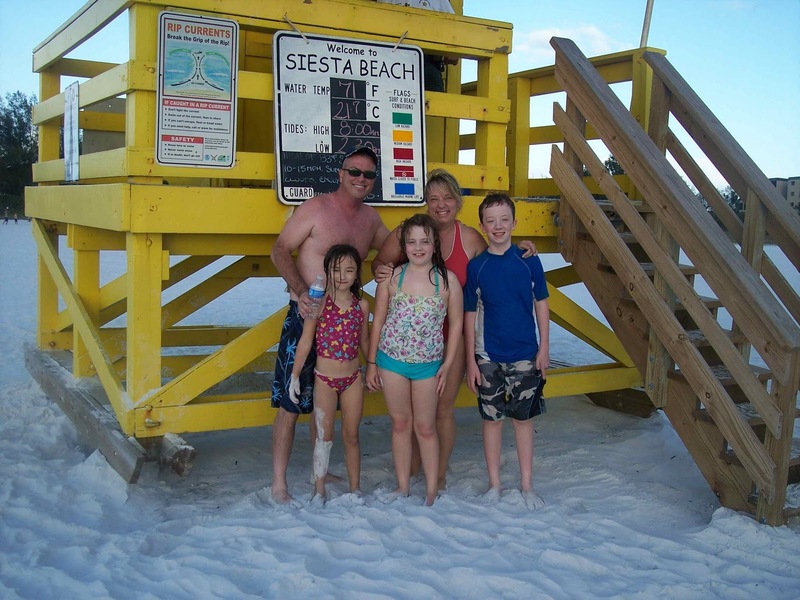 We decided on Siesta Beach, which is located in Sarasota, about an hour's drive south of Tampa. This beach was voted #1 beach in the USA by "Dr. Beach" in 2011. We can see why! I have never seen such fine sand on a beach...it looked like well-sifted flour. It was so soft, not hot, and clean. This sand is supposed to be almost all quartz crystal. There was plenty of open sand area for everyone, yet no one felt crowded. The sun was shining, waves weren't too big...aaahhh. What more could we ask for?? 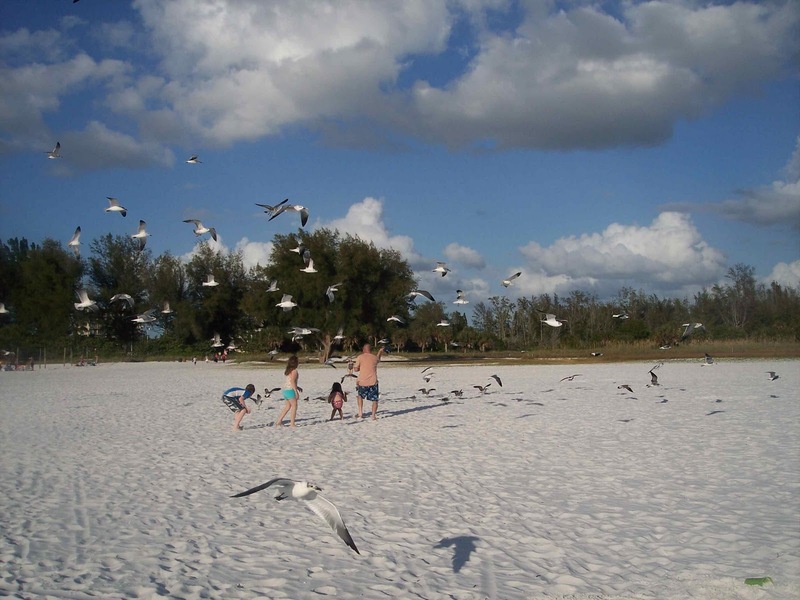 Jim and the kids threw crackers to the sea gulls. Once they landed to fight over the crackers, Jim and the kids ran to scare them and break up the crowd and watch them all fly off. 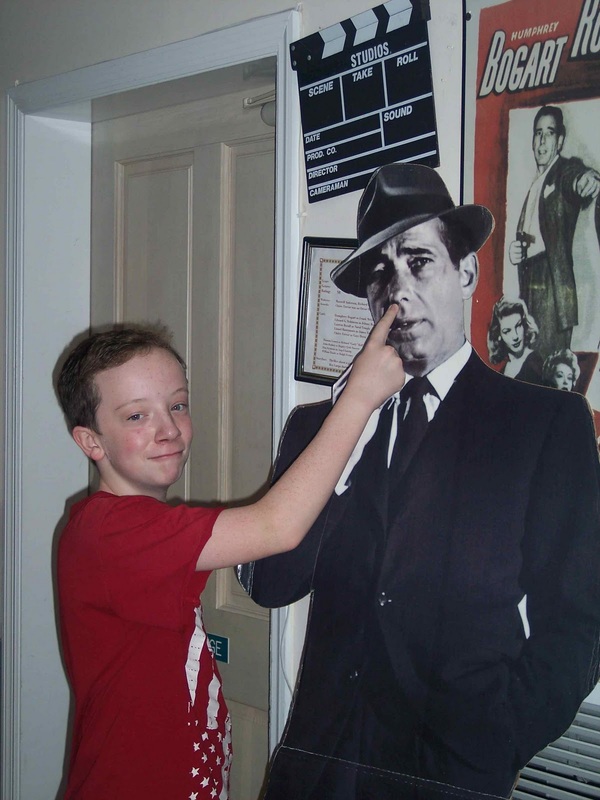 The seemed to get a lot of amusement out of this. We also built sandcastles, complete with a big moat. But the water came up pretty far on the beach, and the moat was overflowing. But it was fun anyway. We played in the water, and Michael and Jim swam out to the sandbar. I managed to sneak in a short little nap. As we were getting ready to head back to the RV, we heard a lot of drum music. 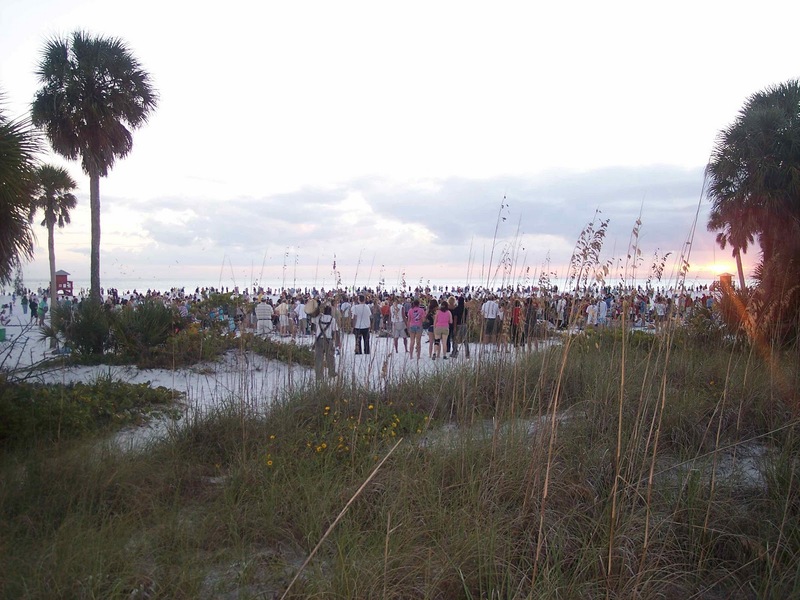 We saw that a crowd had gathered at the edge of one of the beach entrances. Since we were headed to the showers, we took a look. It was just a circle of people playing drums, and a crowd gathered around watching and dancing. We asked someone who was headed into the crowd what was going on. He said that every Sunday night at dusk, people gather to play their drums. It isn't an organized group, just people who love music and want to come and play on the beach. He said that it's been going on for at least ten years, and people who don't play just enjoy coming down and listening. It was very interesting - definitely a cultural experience. Tomorrow we are headed down towards the Everglades! Today was a really great day. 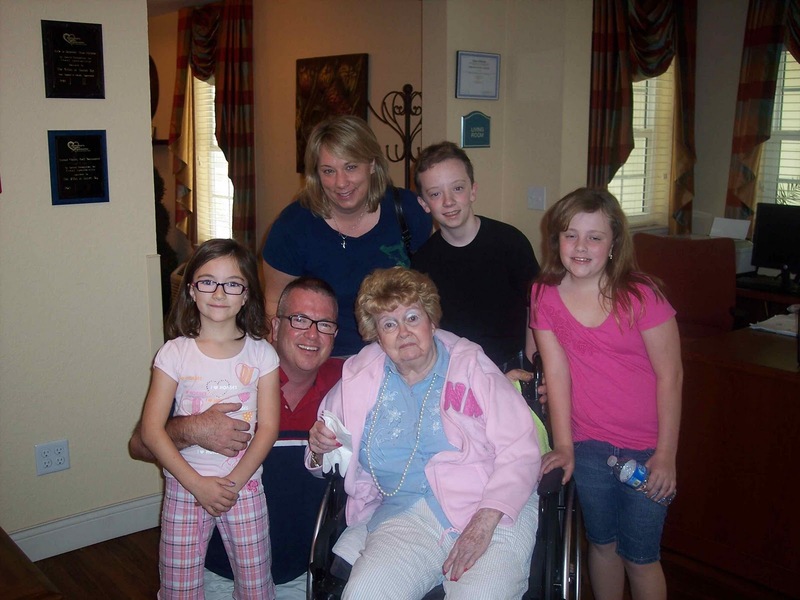 We started out at an assisted living facility, in New Port Richey, where Jim's Aunt Jewel lives. It has been a long time since he has seen his aunt, and he was really looking forward to the visit. Aunt Jewel suffers from Alzheimer's, which is such a sad disease. She didn't recognize Jim, although since it has been a while, that's not too surprising. But once he started talking to her, she recognized his voice - because he has called her through the years - and cried because she was happy to see him. Jim got Aunt Jewel settled in a separate dining room so we could visit with her. Her birthday is Monday, so we brought her a gift and a cookie cake. She was really excited to meet our children. The last time I saw her was at a family reunion when Michael was a baby. 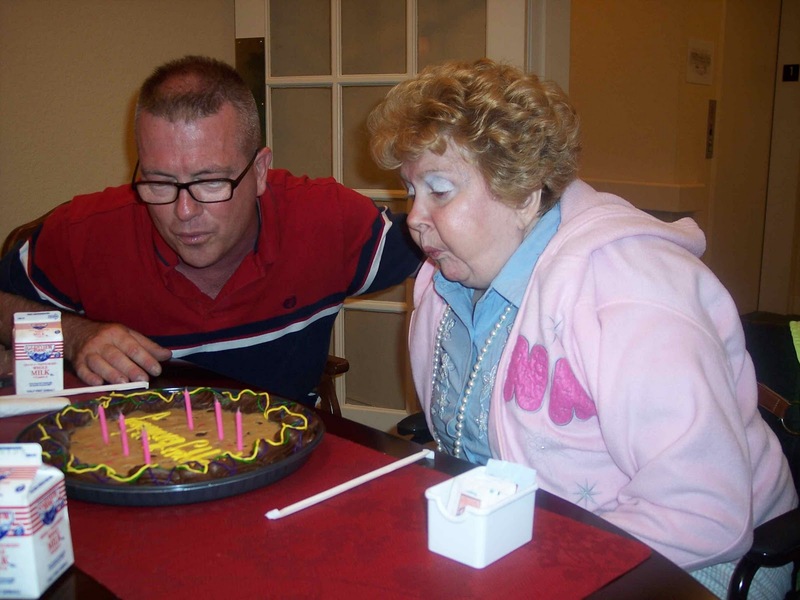 We put candles on the cake and she sure had no problem blowing them out! We all enjoyed a little bit of the cake and gave Aunt Jewel her gift. She was so tickled to get a gift that she cried a little bit then, too. I was really proud of the kids and their behavior. They talked with her, hugged her, and if she said something a little off, they didn't even blink an eye. What awesome kids! Our visit was over all too soon. Jim hated to leave...I told him we could always come back later in the day if he wanted to. 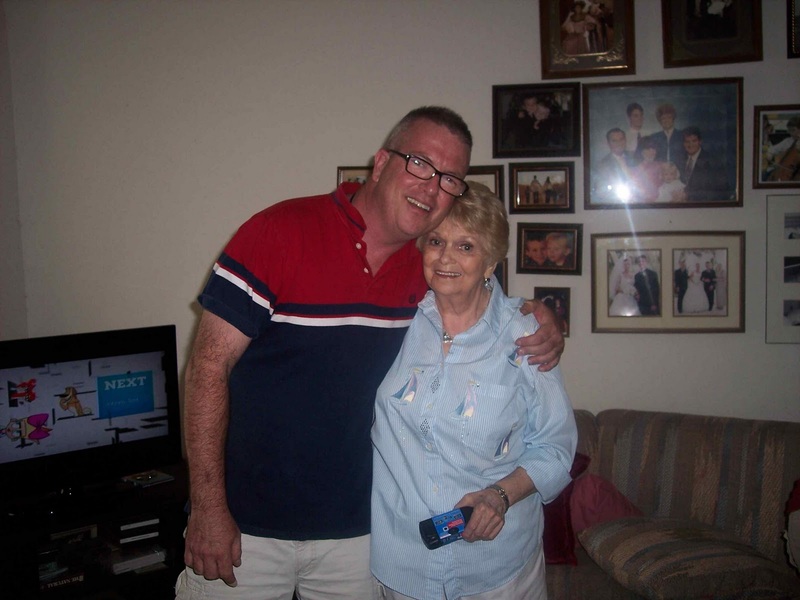 Next, we drove down to Safety Harbor to see Jim's Aunt Marci. We love Aunt Marci! She is spunky and full of life! Her and her husband, Norman, are really wonderful people. Their two sons, Randy and Jeff, were there as well, so it was great to visit with them, too. Aunt Marci and Uncle Norman have two grandsons that live nearby with Randy and his wife, and they are full of energy! We ate pizza and cheesecake, and also opened up a small cake we brought for Jeff and Randy's upcoming birthdays. Aunt Marci is having a procedure on her heart next Wednesday to see why it is giving her problems, so please remember her in your prayers. 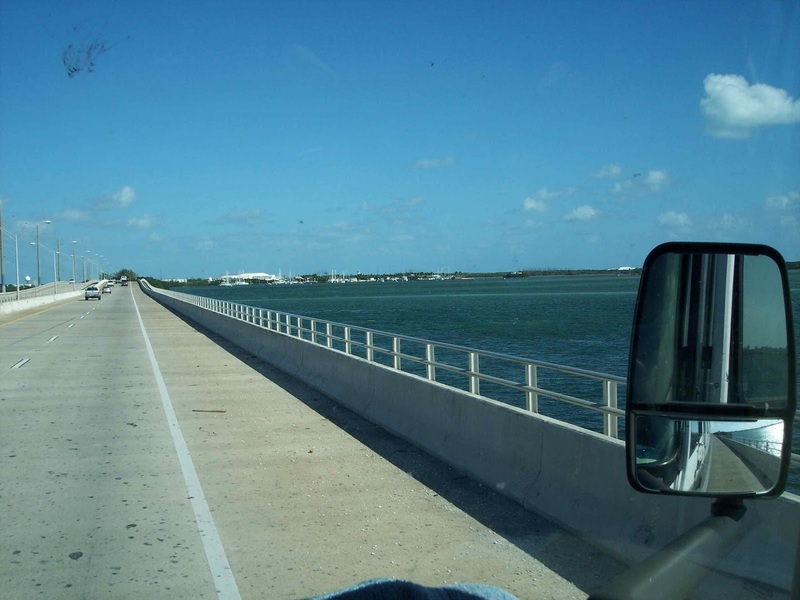 After our visit with them, we decided to go ahead and get on the road towards the Keys. But before we did, we decided to check out a church nearby that some friends recommended. A friend of Chrissy's from Kindergarten moved to the Tampa area a few months ago, and his mom told us about the church that they go to, called The Crossing. It's a pretty big church with five services each weekend. It just so happened that we could make it to one of the Saturday evening services, so we decided to go. We REALLY enjoyed it. Everyone was so friendly, praise and worship and the sermon were both good, too. If you are ever in Tampa, check it out, or watch online anytime. After church, we got dinner and headed down the road. Tomorrow - the BEACH!! 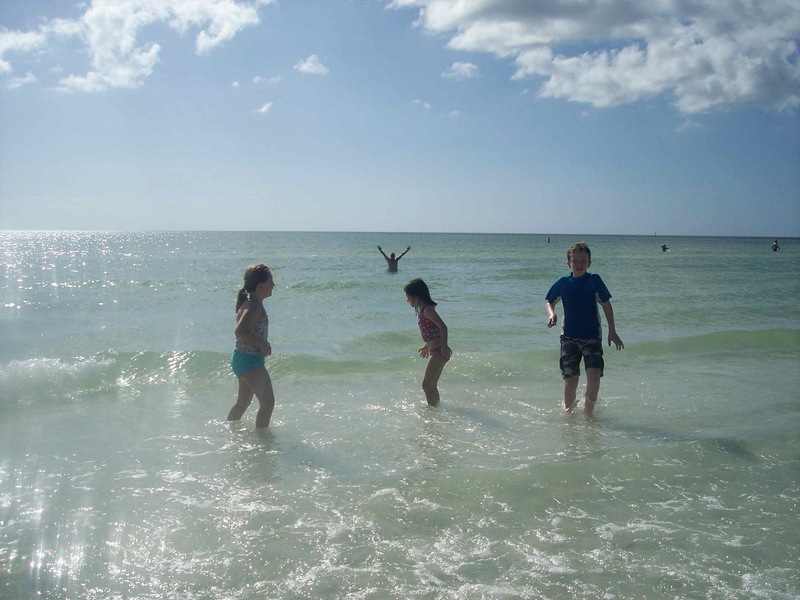 The kids are mad we've been in Florida for three days and haven't set foot on a beach yet, so that's the plan for tomorrow. 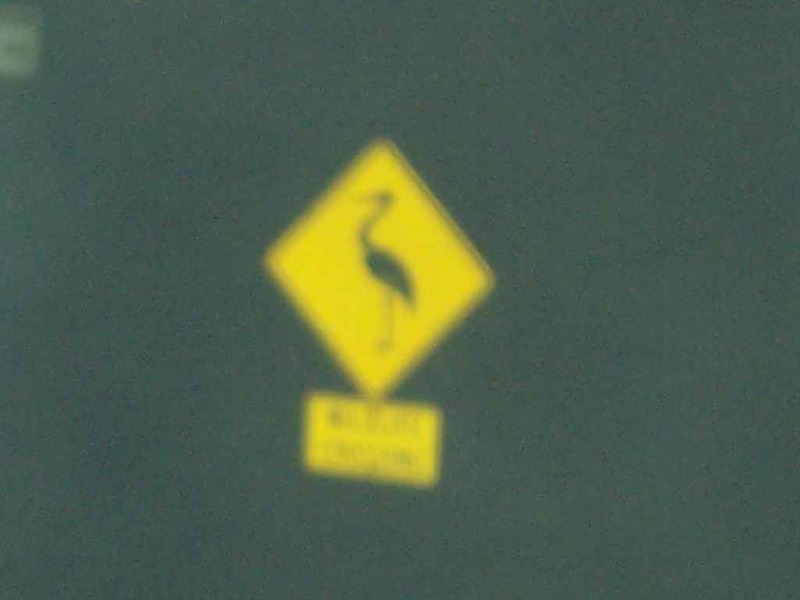 My new favorite sign: Wildlife Crossing; SO much better than Snowmobile Crossing! Trip #3 - Florida - Help us plan our trip!